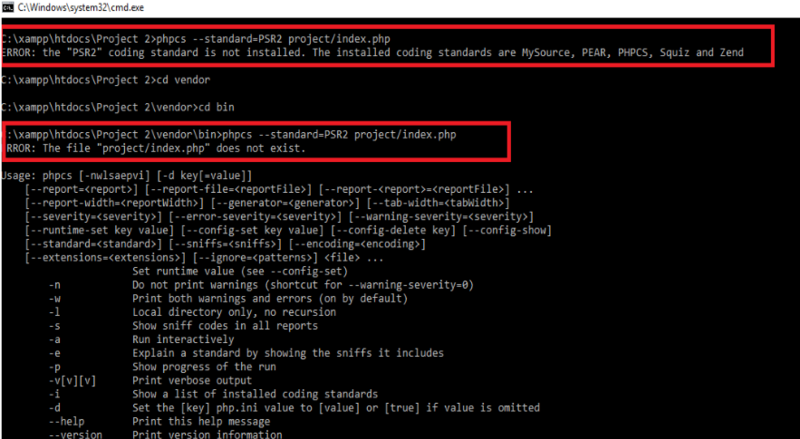 The PHP coding standards fixer tool is used to solve many issues (syntax, indentation etc) in your code when you want to follow the PHP coding standards defined in PSP-1 and PSR-2 Documents and many more. If you have to identify problems with your Code, you know it’s hard to find and fix them by hand, especially when the Project is a large one. This tool not only determines them, but it fixes them for you. PHP needs to be a minimum version of PHP 5.3.6. 1.Select project folder under xampp/wamp or any other web-server. After downloading it install using the downloaded file . a. Go to project folder and make any empty file. 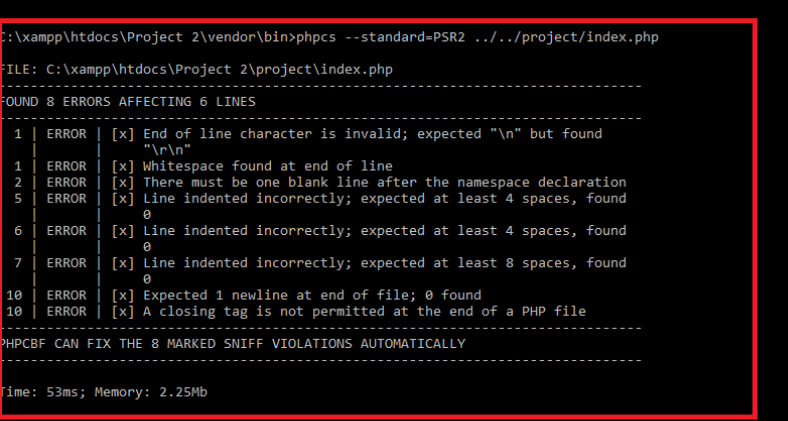 d. This code will install PHP code sniffer dependency. 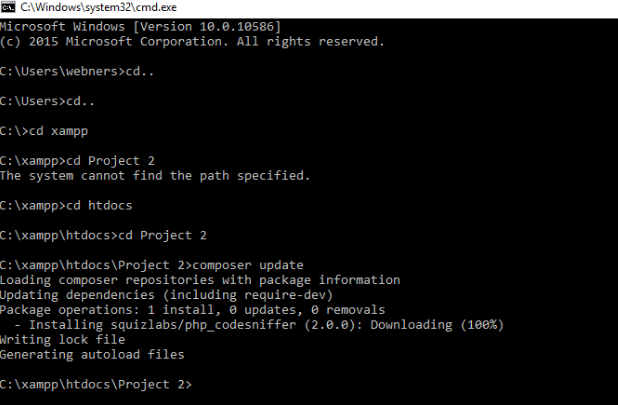 e. Run this command as composer updates. This error occurs because index.php file is empty. Paste below code in this file. After that you can check index.php code.